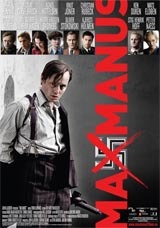 The Norwegian movie Max Manus, based on the real-life events of World War II resistance fighter, has been causing quite a stir for both movie fans and privacy advocates. The most expensive and successful Norwegian movie to date, it inevitably leaked out onto the Internet and the hunt for those claimed to be responsible has been going on ever since. The investigation, controlled by notorious pirate hunter Espen Tøndel and the Simonsen law firm, yielded a single IP address which allegedly belonged to the leaker. Unfortunately, despite the fact that this IP-address did not belong to the original leaker but almost certainly a mere subsequent sharer, the pursuit of that individual has been relentless. For those interested in whether private firms (in this case the movie companies) should have access to private data, the case has proven difficult to follow. Virtually the whole process, including various court decisions and appeals, have been kept secret, right up to the recent Supreme Court decision. Now, however, we have the full story, and it’s bad news for file-sharers and those concerned about privacy. Initially the police showed no interest in the case so Simonsen went to court to force an ISP, now named as Altibox, to reveal who was behind the IP address in question. The result in that case was kept secret. All we knew was that one party lost and lodged an appeal. We now know that it was Altibox who lost the case in the Stavanger District Court and was ordered to hand over the personal details of one their subscribers to Simonsen. The ISP then appealed to the Gulating Court of Appeal, again something which was kept away from the public. The Court of Appeal decision was also deemed unsuitable for public consumption. “I can confirm that the case is being appealed to the Supreme Court, but I can not confirm which of the parties has submitted the appeal, as that may indicate what the results were in the previous hearing,” commented Simonsen lawyer Rune Ljøstad at the time. We can now report that it was Altibox who lost that decision with the Court of Appeal’s rejection of the case. So, with the ISP refusing to give in, it would be for the Supreme Court to decide if it’s acceptable for privately owned companies with financial interests in the outcome of a case to be given the power to obtain the identity of an Internet subscriber behind an IP address. The Supreme Court rejected Altibox’s appeal on June 18, so the previous decision stands. They must hand over the alleged file-sharer’s details. Altibox said that it would have to comply with the decision in this case but would stand firm on any further demands for information from the private sector. “We will continue to adhere to our current practice, and only comply with this requirement if it is made in connection with a police investigation or the existence of an enforceable ruling,” said CEO Eirik Gunde Gjerde. Already the IFPI in Norway are hailing the Supreme Court decision as a triumph in their battle against music file-sharers and said the result was expected. Thorsby added that Simonsen law firm are in possession of the IP addresses of some Norway’s biggest music uploaders. While noting that they “..do great damage, and should be stopped,” she would not confirm how many there are. Despite the Supreme Court ruling, the notion that it will open the floodgates for litigation against file-sharers in general seems remote. “Without this decision copyright holders wouldn’t have the opportunity to pursue copyright violations on the Internet. Now we have that opportunity, so the question is when to use it,” notes Ljøstad. “Currently it’s the only option we have, but there is no one who wants a lot of litigation. We are therefore working actively for what we call ‘graduated response’ – that is, that we sometimes wish that ISPs contact those who upload and tell them that we know who they are. This can serve as a warning. Going to court will be reserved for only the most serious cases,” he concluded. Dr. Njål Borch at the Northern Research Institute told TorrentFreak that the Supreme Court decision was far from ideal. c There are 25 comments. Add yours?